Ayub Timbe Masika has been ruled out of action for two weeks with knee and shoulder injuries. 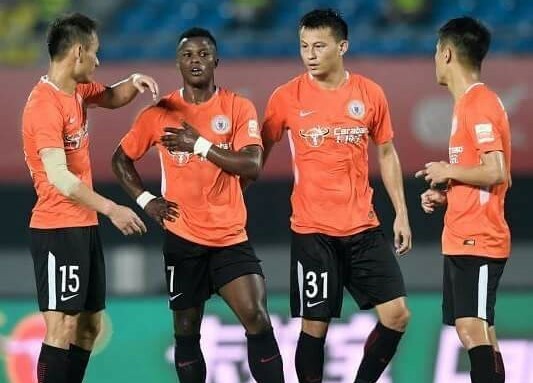 The Harambee Stars exciting winger who plies his trade with Chinese top league side Beijing Renhe broke the news Friday. “Out for two weeks with knee and shoulder injuries but I will be fully recovered for the next game,” the 25-year-old posted on his Facebook Timeline. Renhe is playing Henan Jianye in a league match today (Friday) in the absence of Timbe. The team is currently seventh in the table standings after twenty-four games. Timbe has enjoyed a superb season so far netting seven times and assisting two goals. He has missed one Harambee Stars duty against Ghana in the 2019 Afcon qualifiers due to suspension. He will miss the next two games of the national, a double header against Ethiopia, before he completes the three-match ban. The ban was imposed on his by the Confederation of African Football (CAF) for misconduct during Stars’ 2-1 away loss to Sierra Leone in the Afcon qualifiers last year.